The holiday season is finally coming to an end, and I’m sure many of you have seen numerous ads and commercials, promoting products that would make great gifts for your friends and family. One of the most asked-for gifts this year? According to the Chicago Tribune, consumers asked for *drum roll please*: DNA kits. Now Americans can finally feel like they have all the answers to their identity in this melting pot of a country, with the help of one box and a saliva sample. But do they, really? I consider myself a scientifically-minded person, so of course I’m interested in finding out where my ancestors were from and what conditions I could be genetically predisposed to, but I also understand the risks it involves. The two most popular producers of DNA kits are 23andMe and AncestryDNA. The latter of the two claims to be the best of the best, so let’s put on our lab coat and goggles and delve into its methods. In an AncestryDNA kit, you’ll receive directions to activate your kit, by going online to their website and plugging in your 15-digit code found on your own personal collection tube. The collection tube is where you will gather and send in your saliva sample, ensuring that you did not eat, drink, or smoke 30 minutes prior. Furthermore, there is a liquid that you’ll shake and mix in with the saliva so that the DNA doesn’t get degraded on its way to the testing site, as well as a protection bag and an envelope. More than 12 million Americans have sent in DNA samples thus far via AncestryDNA. AncestryDNA claims to be the most comprehensive, and is the largest selling DNA kit on the market. They use microarray-based autosomal DNA testing “which surveys a person’s entire genome at over 700,000 locations, all with a simple saliva sample. Additionally, the new online interface integrates state-of-the art tools for you to utilize your DNA results for family history research.” Sounds super cool, right? According to an article published by Gizmodo, they err on the side of caution when it comes to DNA testing kits. “For one thing, there’s no guarantee that the results you get back from a DNA-testing company are particularly meaningful or even accurate.” Furthermore, a company sent back human results for a DNA sample from a Labrador retriever. For many people, however, privacy is the main concern. Sending in DNA samples to a private company does sound a bit scary, I’ll admit. According to the Washington Post, children are most at risk. A genetic counselor states that children should be able to make their own decisions about the information they want to know, as parents are ultimately the ones purchasing the kits for familial reasons. Furthermore, there is the concept of HIPAA. HIPAA, which is The Health Insurance Portability and Accountability Act of 1996, protects the privacy of medical information of individuals when it is handled by doctors, hospitals, and health insurance companies. Independent companies, however, such as those selling DNA kits, do not fall under the HIPAA umbrella. In fact, they are legally allowed to sell the genetic information to pharmaceutical companies and other third-party entities, whether that remains anonymous or has identifying information is currently unknown. There are laws in place to prevent companies, employers, and healthcare providers from discrimination against someone’s DNA. However, AncestryDNA is still technically allowed to release that information to companies, but the companies cannot use it to discriminate. Children and most teens cannot give informed consent for their personal data to be used in that manner, but as of now there is nothing technically wrong with the process. While understanding genetic history and health risks sounds fun and intuitive, it often causes familial strain. Finding out genetic predisposition to certain diseases can shift a family dynamic, especially if those results are found in children and teens. I’m not one to say that ignorance is bliss, and I understand these results can be vital to some families. For example, it could bring attention to a serious condition and preventative action can be taken. However, it could also cause parents to treat their children differently due to the results. 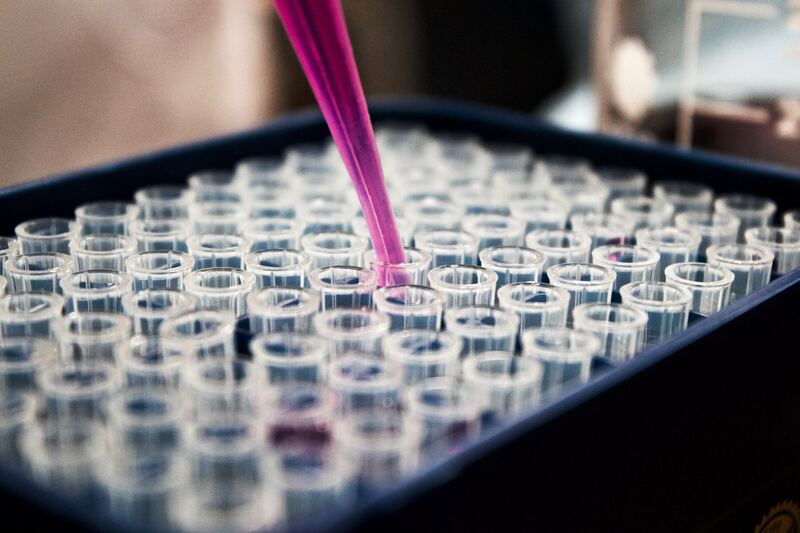 Nonetheless, the takeaway here is to do the research and consider all of the factors and outcomes when conducting genetic testing with an independent company. Because, sadly, DNA kits cannot be re-gifted like the weird sweater your grandma gave you. My name is Maeve Godshalk, and I am a sophomore in the Forensic Science and Law Program. I am from Bangor, Pennsylvania which is a small town on the Eastern side of the state. I plan on earning a B.S. in Biology with a concentration in Molecular Biology, as well as my Master’s in Forensic Science and Law. I am especially interested in neurobiological functions. In my free time, I like to go on long runs and watch movies with friends. I am eager to share my opinions on current events in science! Godshalk, M. (2019). DNA Testing: Do or Don’t? D.U. Quark, 3(2).